Protecting your family from something you can’t see, smell, taste, or hear seems tricky, but it doesn’t have to be. 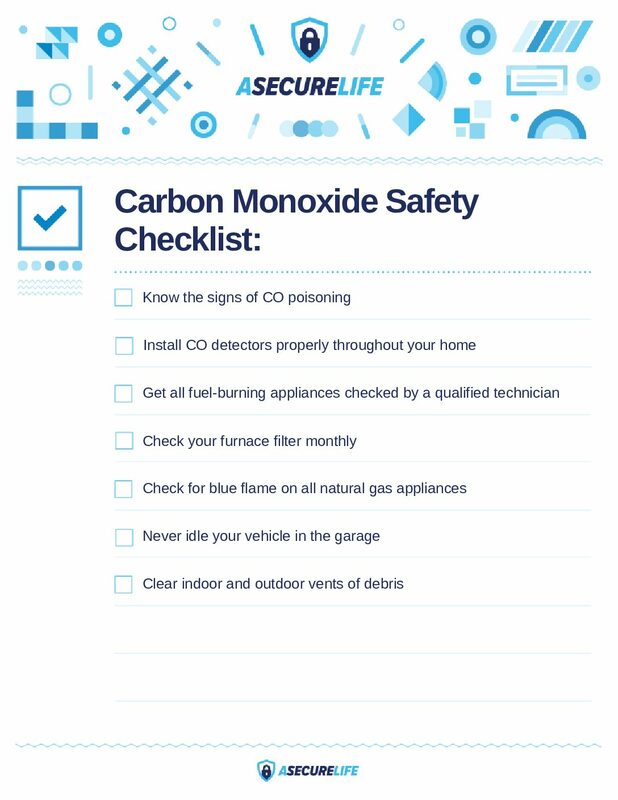 Carbon monoxide is extremely dangerous, but a well-placed CO alarm can alert you to danger before an unseen leak starts to make your family sick. You could just pick up an alarm at the local hardware store, but your family’s safety is at stake, so it’s worth exploring your options to make sure you find the best solution. You’re probably familiar with the standard battery-powered detector that gets mounted on the ceiling, but that’s not your only option. Keep reading to learn more about the best carbon monoxide detectors available. The Nest Protect is one of the most expensive carbon monoxide alarms you could buy. But don’t let the high price tag scare you off—in this case you get what you pay for. One of the very best things about the Nest Protect is that it can send mobile notifications. If you have a normal CO detector, you won’t know something’s wrong unless you’re at home to hear the alarm blaring. If you ever leave pets or older children home alone, it’s probably worth spending extra on a CO alarm that will tell you they’re in danger. 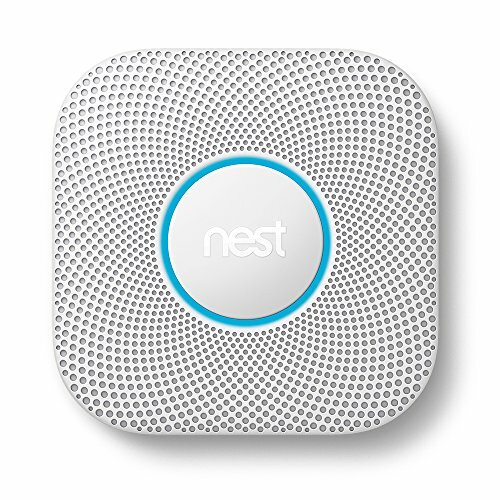 Not everyone needs a feature-ridden CO alarm, but if you want to make sure your home is safe, even when you aren’t there, Nest Protect is one of the best options. A plug-in CO detector is extremely easy to install and relieves worries since you don’t have to replace batteries every few months. Kidde’s plug in alarm still includes a battery backup so it will work if the power goes out. It also has a digital display so you can see what the CO levels are. The main downside of a plug-in alarm is that it is within reach of small kids. If you’re worried about kids tampering with the detector, you’re probably better off with one that can be mounted high up. If you want to mount your CO detector up high but don’t want to change out the batteries every few months, consider an alarm with long-life batteries. 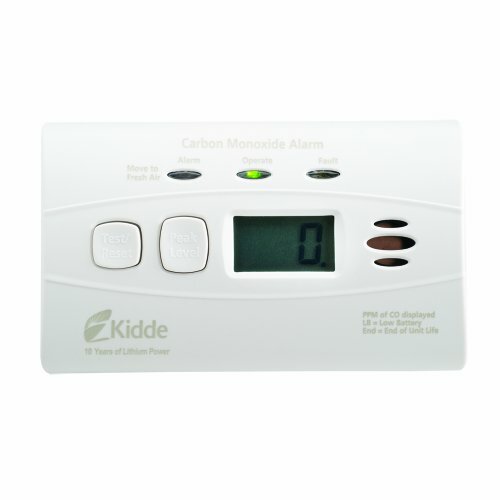 This Kidde alarm has a battery that lasts for 10 years and it has a digital display that shows up-to-date CO levels every 15 seconds. There’s a huge advantage to choosing connected CO detectors—you’ll know about CO leaks no matter where you are in the house. 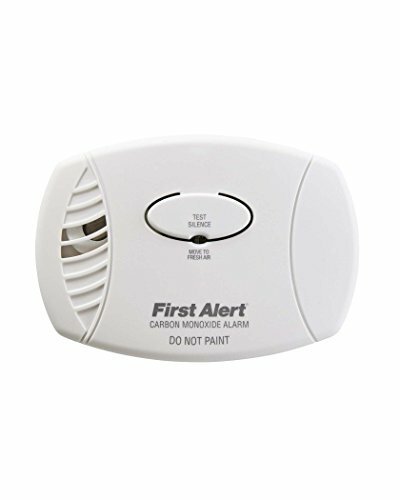 We like the First Alert CO detectors because if one goes off in an area of the house that’s too far away for you to hear it, another alarm closer to you will also go off and tell you where the CO has been detected. While the feature-loaded alarms on this list are cool, the most important thing is to get a CO detector that works. 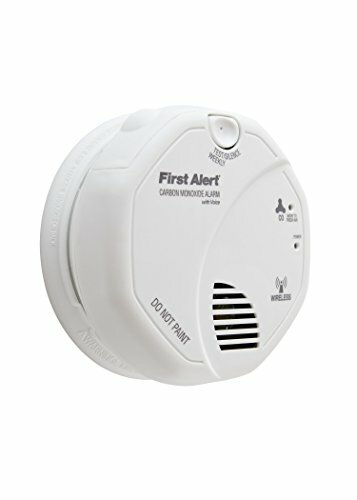 If you can’t afford one of the detectors with more features, we recommend getting this budget-friendly CO alarm from First Alert. It is easy to use, easy to install, and affordably priced. That means you can get as many as you need to keep your home safe–just be sure to replace the batteries every few months. If you need help remembering when to swap out old batteries, change them when you change your clocks for daylight saving time each year. Where should you put your carbon monoxide detector? Some CO detectors need to be mounted on ceilings, some can be placed on a wall, and some can be plugged into an outlet near the ground. Follow the manufacturer’s instructions whenever you place a new CO alarm. No matter where you install them, you need at least one CO detector for every level of your home, but ideally there should be one near every bedroom so that your kids sleeping in their room will hear their alarm go off even if you don’t. It’s also smart to place detectors in the garage and near fuel-burning appliances like furnaces and dryers since they are common sources of CO.
And no matter which room you place the alarm in, make sure it’s not blocked by any furniture. While standalone CO alarms are a good start, you may also want to consider a monitored security system. Companies like Frontpoint and Vivint offer security systems that can protect against burglary and theft, but they also offer protection from fire and carbon monoxide. 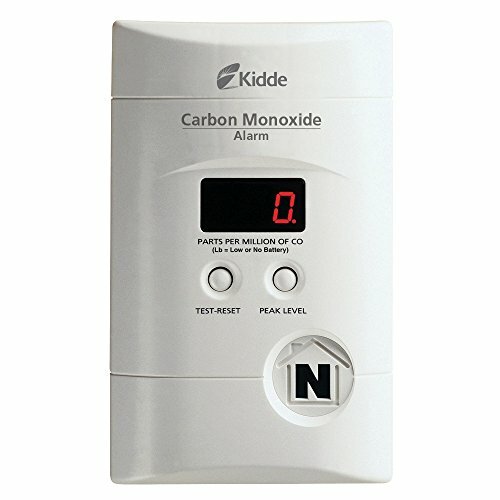 If your carbon monoxide alarm is synced with a home security system, a professional monitoring center will know if it goes off. That way they can make sure your home is safe even if you aren’t there to hear the alarm. Hopefully you already have a carbon monoxide alarm in your home, but now is a great time to upgrade and make sure your family is as safe as possible. 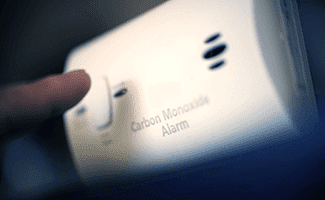 Have you ever dealt with carbon monoxide in your home? Share your stories and advice in the comments below. Print out a checklist for your personal use by clicking the button below.